Specialty Doors + Automation offers a variety of hinges. We offer an andonized aluminum continuous geared hinges. Available in full mortise to full service and full service center pivot models. 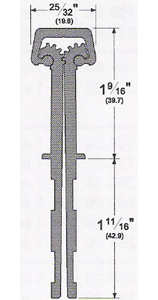 With a continuous hinge, typical alignment problems are eliminated. 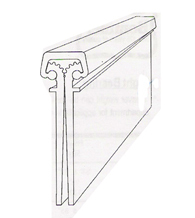 The continous hinge distributes load stress uniformly along the full length of the door and door frame. The gear design of the continuous hinge ensures symmetrical operation of each leaf. Low operating force feature makes the continuous hinges ideal for doors used by the physically challenged. Several more benefits and etc.